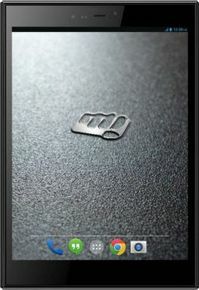 Micromax Canvas Breeze Tab P660 is currently not available in any stores. Micromax Canvas Breeze Tablet P660 is a latest tablet of 2015 by Micromax which gives you a classy impression. This is a tablet with voice calling and 3G feature. Most amazing Part is that, it fits in your budget as price of Micromax Canvas Breeze Tab P660 in India is just around Rs. 9000. Micromax Canvas Breeze Tab P666 specifications include 7.85 inch of display size with LED multi touch and resolution of 768 x 1,024 pixels ruling to a pixel density of 163ppi. You can watch movies, play games and enjoy chatting with friends easily. It is powered by 1.2GHz quad-core processor and 1 GB RAM blows the processing speed of this device and gives you fast results. It runs on Android v4.2.2 Jelly Bean Operating System, so you can freely download more and more entertaining apps. 5 MP camera of Micromax Canvas Breeze Tab P660 allows you to take wonderful pictures. It comes with face beauty mode, smile detection shot, auto focus and HDR mode with extra feature of LED Flash, so you can take clear pictures in dim light condition. 2 MP secondary camera is there for selfies and video calling. You can also record HD videos using the rear camera. Micromax Canvas Breeze Tab P660 available with excellent Li-on battery capacity of 4000 mAh from which you can talk for 12 hours. Even you can watch movies, listen songs, do web browsing without worrying about battery getting empty. It has an internal memory of 8 GB and 32 GB external memory, so you can reserve your favorite games, movies, music, wallpapers and many more documents and carry all your data with you anywhere. It also has other connectivity options such as Bluetooth, USB port, Wi-Fi and Mobile hotspot. Buy Micromax Canvas Breeze Tab P660 online at best price in India by comparing it from popular shopping websites like Snapdeal, Amazon, Flipkart etc.